Description 7 large freshwater pearls hand knotted on premium leather cord. 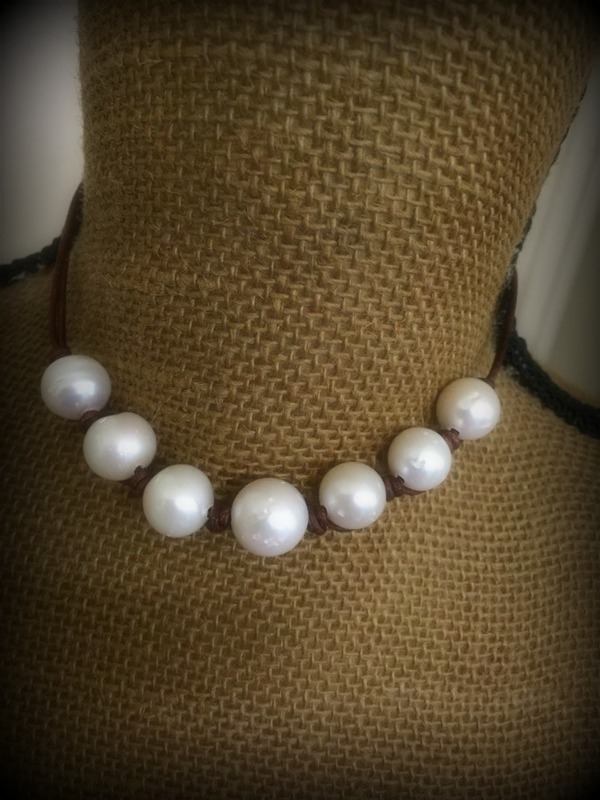 Pearl loop closure behind neck with two large dangling pearls. Choose choker style (as shown in photo) or longer length of your choice.